Luigi Paolo Wong’s surge in amateur golf in the Philippines and the United States has caught the attention of the men’s golf team of Duke University in the U.S.
Danny, father of the young golfer from La Trinidad, Benguet but now a grade 10 student at Monteverde Academy in Florida, U.S.A., said the assistant men’s golf coach of Duke, Bob Heintz, has sent a prospect letter about Wong’s achievements in golf. The older Wong said some U.S.-based schools showed interest in his son due to his modest achievements in amateur golf here and overseas. 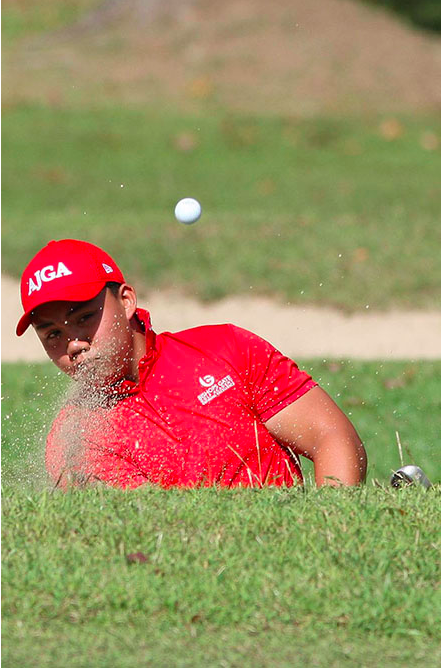 Before being picked by the National Golf Association of the Philippines (NGAP) to be part of the Philippine Golf Team to the 29th Southeast Asian Games in Malaysia in August, Wong has competed in the U.S. Teen World Championships in North Carolina in July 2016. Also in 2014, he saw action in the U.S. Kids World Championship in July in North Carolina. Before pursuing his studies in America, Wong was a consistent honor student in La Trinidad. Aside from excelling in golf, Wong is a 2nd dan black belt in taekwondo after he started practicing at age four.